Ritter Communications’ local content channel will now offer more shows and programming. Tubetown, the Ritter Communications local content channel, has partnered with Right Now TV to offer TV subscribers more new and exciting content than ever before. Appearing on channel 21 in Arkansas and channel 11 in Tennessee, Tubetown is the number one source for everything local, from community events and festivals to exclusive coverage of high school sports and more. Right Now TV is the nonstop, turbo-charged television network that delivers action-packed, bleeding edge TV. Now, Tubetown viewers can enjoy the absolute best sports, comedies, dramas, talk shows and outdoor adventures on television. Tubetown will continue to produce current original content and introduce new original exclusive shows to our programming lineup. However, now in addition to the original content produced by Tubetown, our viewers can now enjoy the absolute best combat sports, poker tournaments, golf, racing, hunting and fishing, cooking, comedies, dramas, talk shows and outdoor adventures on television. There's literally something for everyone in the Ritter Communications service areas. Right Now TV is the red hot new TV network that’s TOUGHER THAN THE REST! 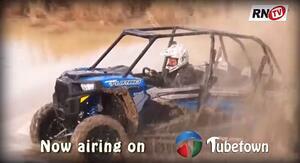 On air 24 hours a day, seven days a week, RNTV is delivered 100% FREE over the air and on Roku. Combat sports, MMA, boxing, pro wrestling, kickboxing, motor sports, NASCAR, muscle cars, auto restoration, cooking, grilling, talk shows, documentaries, history shows, DIY home improvement, hunting, fishing, and the great outdoors…RNTV has it all. With its finger on the pulse of the American male psyche, RNTV is always on the lookout for what’s hot and what’s truly entertaining. To learn more, visit www.rightnowtelevision.com. Ritter Communications, founded in Marked Tree, Arkansas and headquartered in Jonesboro, began providing local phone service in 1906. Today, Ritter Communications serves 89 communities and more than 45,000 customers in Northeast and North Central Arkansas, Southeast Missouri and West Tennessee with advanced voice and data services, video, high speed Internet and hosted solutions typically found only in major metropolitan areas. Ritter Communications invests heavily in the communities it serves by deploying proven, best in class infrastructure and technology while coupling it with a world class customer focused experience. To stay connected visit facebook.com/rittercommunications. Tubetown, a community partnership of Ritter Communications, airs local, live and pre-recorded high school sports, as well as local events, parades, charities and pageants. Tubetown was established as Ritter Communications' local content production arm in 2008 and reaches thousands of viewers via Facebook Live and Ritter Communications TV customers in Arkansas, Tennessee and Missouri. 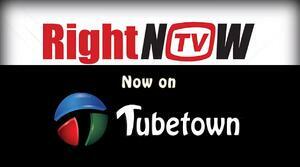 Tubetown airs on channel 11 in west Tennessee and 21 in northeast Arkansas and southeast Missouri. For more information, follow on social media or visit tubetownonline.com.